The first DLC pack for The Elder Scrolls Online: Tamriel Unlimited will be released from the end of August. Titled Imperial City, the content take place in the heart of the Cyrodiilic Empire. 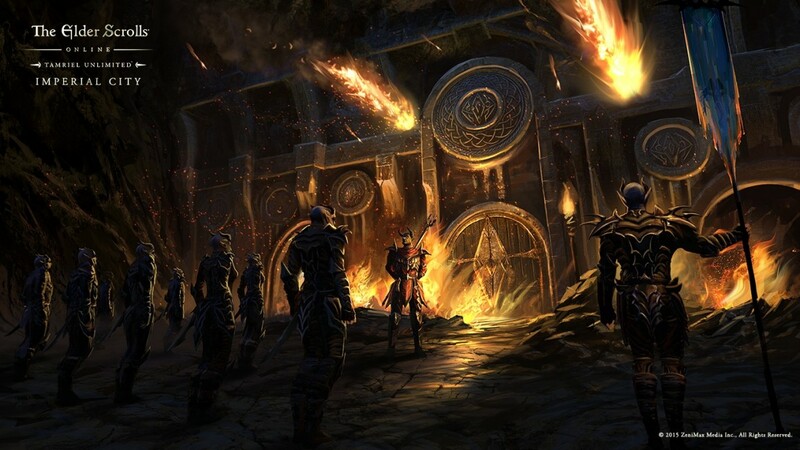 Players will find it overrun with Daedric forces, after an invasion by Daedric Prince Molag Bal. Imperial City adds “hours of additional gameplay” featuring new areas, quests, enemies, and exclusive items for those who choose to play solo, in small groups, or with hundreds of others. The content will be automatically available for active ESO Plus membership holders. You can find out more on the Imperial City DLC as well as release and pricing information through the official website. It will arrive on the Public Test servers next week for Mac and PC users and releases on the aforementioned platforms August 31. PlayStation 4 and Xbox One users can pick up the new content on September 16.